This mod is my first attempt to add content to the game, so, it may contain some bugs. Compressed Chest, it has 9x the inventory space of a regular chest. it keep the inventory when broken. the recipe of it, consists in just 9 Vanilla Chests in the crafting grid. if you think it is unballanced, there is a config option that enable the hard recipe of it, that consist in using 9x9 (81) chest in the Dire Crafting Table. 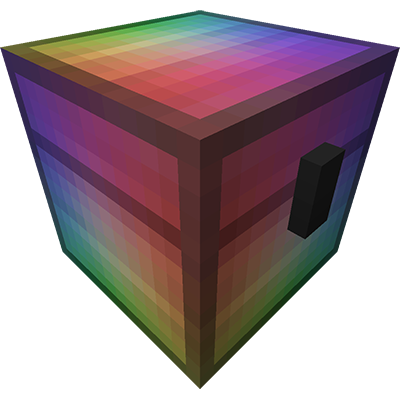 Infinity Chest, the same inventory space of the Compressed Chest, but with capacity of 2,147,483,647 Items per slot (the same of a DSU). Dire Autocrafting Table, it craft Dire Crafting Recipes for you. also, this mod has a config that allow to remove any item from the Infinity Catalyst recipe. the amazing ShepherdShang made a spotlight of Avaritiaddons! If you like my work, follow me on Twitter. on the next update, the recipes will be disabled if crafting only is enabled. Thanks again for the fast reply! :D Keep up the good work. Its a pity that you can't upvote or give a thumbs up to comments like this one. Nice idea. What we need now is for someone to port Avaritia over to 1.10.2 since SpitefulFox says he won't do it.